For more information, go to the course homepage. This PhD course is an intense interdisciplinary reading and discussion seminar that covers the wide range of academic discourses that have emerged during the last 10-15 years around urban ecology, urban nature and urban environment. The course has been held at the KTH Environmental Humanities Laboratory in Stockholm in June 2013, and before that as a seminar at the Stockholm Resilience Centre in 2012. No date is currently set for the next course. For more information read below and the course homepage. For the literature list, see here. 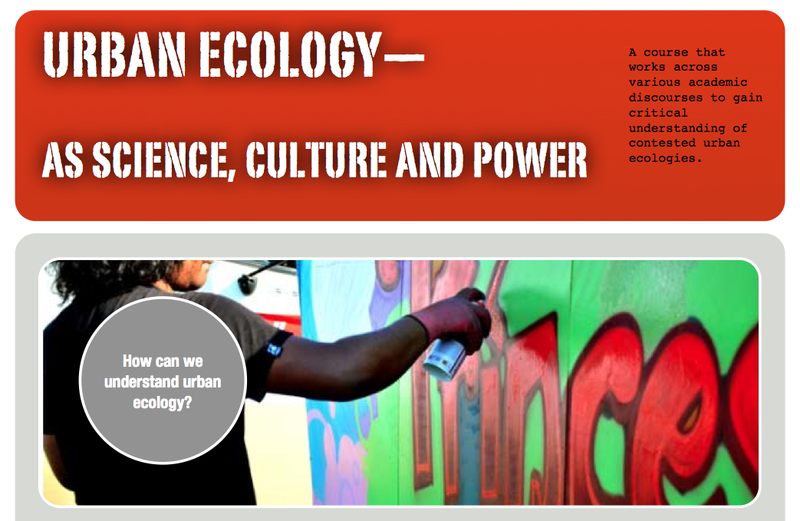 How can we understand urban ecology? We will carefully work through these fields to familiarize participants with each respective field’s overarching structure of thought and practice. Through lectures and seminars we will discuss how these fields overlap and contest each other towards enriching our understanding of urban ecology as material condition, academic discourse, and political tool. The course thus aims to provide participants with a familiarity of an extensive and varied literature. But also provide an intellectual capacity to critically unpack the politics of urban ecology, and the abilities and disabilities to create more democratic and sustainable forms of urbanization.